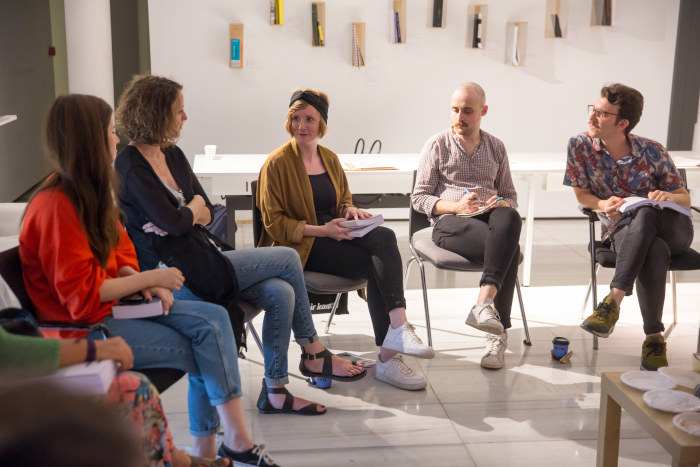 Photos from the first gathering of Collective Çukurcuma reading group as part of the public program of the 15th Istanbul Biennial. On September 21, 2017. Moderated by Serhat Cacekli and featuring Zeyno Pekünlü, artist and coordinator of the public program of the biennial, and Sofie Krogh Christensen, assistant curator of the biennial. Collective Çukurcuma Reading Group was initiated in 2015 by the two founding members of the Collective (Naz Cuguoğlu & Mine Kaplangı) with the addition of Gökcan Demirkazık. 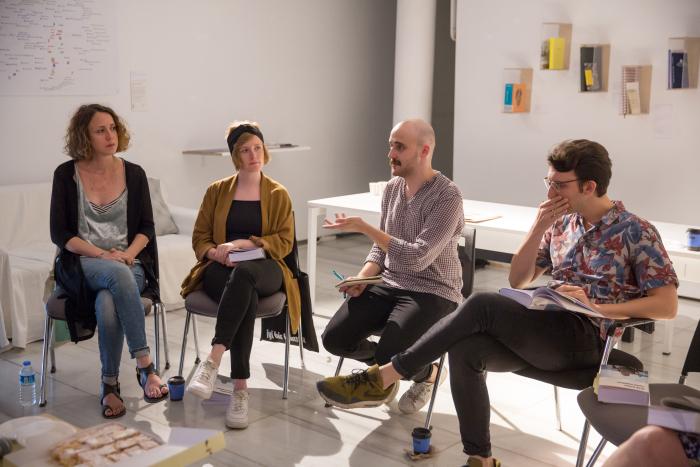 Besides semester-long thematic discussion sessions on such subjects as hauntology and archive-based artistic practices from the Middle East, the reading group has been invited to organize meetings in conjunction with various exhibitions in Istanbul, most notably as part of the public program of the 15th Istanbul Biennial in 2017. Most recently for the 4th Istanbul Design Biennial’s “School of Time,” the reading group focused on the catastrophic imagination, passage of time in the shadow of impending disasters, and how survival (of death or disaster) shapes an understanding of time and culture by organizing three different reading sessions. In 2019 the reading group will continue its meetings in various cities around the world.